Is it burnout or are you walking through the fires of hell??? 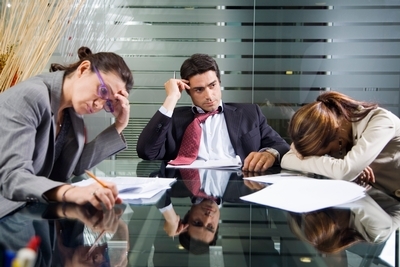 In a recent post, Carey Nieuwhof listed 9 SIGNS YOU’RE BURNING OUT IN LEADERSHIP. Burnout is one of those topics that almost everyone reads about and acknowledges as a real and present danger. I have only met a few Pastors and other leaders who are foolish enough that think that they are above this danger. One aspect of this discussion that is often overlooked is that burnout is not just a clergy issue. 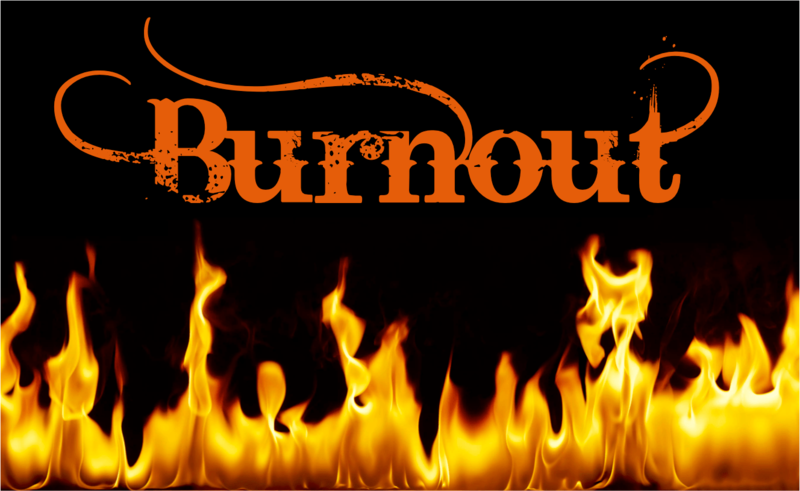 Leaders throughout the church and every other aspect of life experience the reality of burnout. My experience of this came to a head early last year. I found myself displaying many of the classic signs of burnout. I was thankful that I, along with other trusted confidants (including my wife) were able to identify this reality before it reached a truly destructive level. Like most leaders I had seen list after list of “the signs of burnout.” Even still I was easily blinded to those signs in my own life. This not only speaks of our need to have self-awareness but also truth tellers in our lives. Having trusted individuals around us who are able to point out our burnout behavior before it’s too late is a critical need for all leaders. As such, we need to be purposeful in ensuring we have a support system to help us. The following coaching questions come to mind when I think of avoiding burnout. Who in your life is able to give you true feedback on your attitude and behavior? If you don’t have a truth teller in your life, how can you get one? Who might it be? Are you truly open to having someone challenge you with an honest assessment of your current ability to function? What do you need to do in order to be open to a truth teller in your life? If you have a trusted truth teller in your life I would encourage you to share Carey Nieuwhof’s 9 SIGNS YOU’RE BURNING OUT IN LEADERSHIP. If you don’t have an a truth teller I encourage you to find one. As a coach I can help you make a plan for this work in your life. Through coaching you can formulate a plan for ensuring your receiving the feedback you need in order to avoid burnout. To begin this work simply request a free introductory session by clicking HERE. Click the link to to read Carey Nieuwhof’s original post on 9 SIGNS YOU’RE BURNING OUT IN LEADERSHIP. Below is his list, what might you add? 1. Your motivation has faded. The passion that fueled you is gone, and your motivation has either vapourized or become self-centered. 2. Your main emotion is ‘numbness’ – you no longer feel the highs or the lows. This was actually one of the earliest signs for me that the edge was near. I wrote more about emotional numbness here. 3. People drain you. Of course there are draining people on the best of days. But not everybody, every time. Burnout often means few to no people energize you anymore. 4. Little things make you disproportionately angry. When you start losing your cool over small things, it’s a sign something deeper is very wrong. 5. You’re becoming cynical. Many leaders fight this one, but cynicism rarely finds a home in a healthy heart. 6. Your productivity is dropping. You might be working long hours, but you’re producing little of value. Or what used to take you 5 minutes just took you 45. That’s a warning bell. 7. You’re self-medicating. Your coping mechanism has gone underground or dark. Whether that’s overeating, overworking, drinking, impulsive spending or even drugs, you’ve chosen a path of self-medication over self-care. Ironically, my self-medication was actually more work, which just spirals things downward. 8. You don’t laugh anymore. Nothing seems fun or funny, and, at its worst, you begin to resent people who enjoy life. 9. Sleep and time off no longer refuel you. Sometimes you’re not burnt out; you’re just tired. A good night’s sleep or a week or two off will help most healthy people bounce back with fresh energy. But you could have a month off when you’re burnt out and not feel any difference. I took three weeks off during my summer of burn out, and I felt worse at the end than when I started. Not being refueled when you take time off is a major warning sign you’re burning out. Read something you like? Share it! Sometimes it is tempting to grasp at the next great leadership trend. New ideas or even old ideas presented in a new way have the great ability to excite us and give a shot of leadership adrenaline. We have all read a book, attended a conference or watched a video and shouted “AMEN!” When I first heard Simon Sinek’s Ted Talk many years ago, was one of those moments for me. The message of his talk resonated with me. I quickly found myself reading and listening to more of him. I’m not sure that I have ever fully utilized his insights but I have been drawn back to his, “start with why” concepts over and over. When I find myself returning to a speaker or writer’s work I feel that it must have a deeper hold on me than a passing fancy. Below you will find Sinek’s Ted Talk for your viewing pleasure. After you have viewed the video please let me know if you would be interested in joining a discussion group on his book Start With Why. This discussion group can be in person or through Zoom Conferencing. This image has floated around the Internet for many years. It is a great visual representation of the difference between a boss and leader. In my own leadership I try to refrain from asking anyone who is following me to do something I’m unwilling to at least try myself. This is a great principle and often helps people get behind the work I’m asking of them. 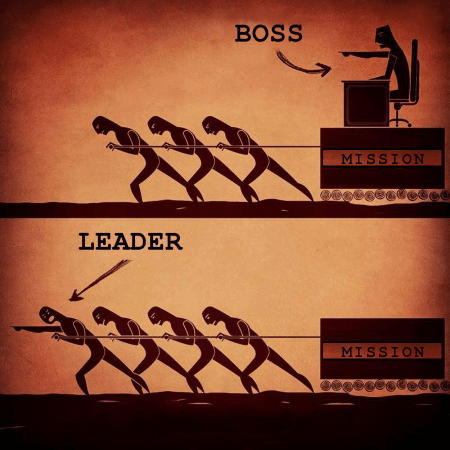 The picture of the leader struggling with the followers is a stark comparison to the boss image. Of course this image congers up the Biblical story of the Egyptian Pharaoh commanding the Jews to make bricks without straw. A domineering dictator is obviously not a leader, especially when harsh punishment is the reward for rebellion. We all have been in settings where the employees feel that there is a serious price to pay for disobedience to the boss. This is the reality of why many women have been forced into sexual situations with their supervisor. A good leader brings the followers into the mission by showing their commitment and helping them to see how their individual contributions help the mission succeed. Yet, there are still times when a leader needs to be directive. Did you notice the location of the boss in the upper image? Not only is the boss not helping, but the boss it part of the burden to be pulled. I have had numerous conversations with friends, parishioners and coaching clients who feel the weight of carrying their boss. If we must be directive we also need to acknowledge that we can become part of the burden. To become part of the burden is unfair and negates our leadership. When a good leader needs to be directive they must give clear expectations and then let the workers loose. How have you experienced the weight of a leader in your work? What do you do to ensure you aren’t a burden to your followers? What other insights do you see from this image? For the past two days I have had the honor of spending time with Chris Holmes of Holmes Coaching Group during the first part of Coach Approach Skills Training in the National Capital Presbytery. During this time I sat in as a Pastor/Coach. For the past few years I have been working out ho to integrate coaching with the pastoral life. This time of training was not only affirming of this hard work but also my commitment to using coaching in every aspect of my life and ministry. Watching the students, many of whom I know from other forums, discover how powerful coaching and being a coach can be was a truly awesome experience. Within a few hours I saw a certain amount of skepticism or fear melt away and coaches begin to emerge. I also found myself in a place where I was challegned to double down on my coaching aspirations. Hearing from other pastors about how they can see the deep possibilities of coaching to transform how they lead makes me want to coach more. I want to help create a culture of coaching that in many ways was modeled by Jesus himself. More and more I see how those that are trained as a coach often follow the model of Jesus. Jesus was often approached to simply solve a problem or alleviate a burden. More time than we might want to acknowledge, Jesus sought to transform the person through his or her own agency. The account of Jesus and the woman at the well was lifted up as a prime example of how this worked. She came to him with a certain understanding of herself and the world. Jesus helped her redefine those views through the use of imagery, questions, imagination, truth telling and many other coaching core competencies to do this. It’s amazing to me how spiritual coaching actually can be. I am thankful and honored to have been part of this special time of spiritual, professional and personal development. I also look forward to continuing this journey in the National Capital Presbytery with my new colleagues in coaching. A long while ago I resigned myself to the fact that meetings are necessary to accomplish collaborative work. Virtual or in person, meetings are a vital way to coordinate the common work we endeavor to complete. In organizations that depend on volunteers to accomplish their ministry we need to make sure that we use our people’s time wisely. There are times in the life of the church where we have a meeting to simply have a meeting. Even monthly board meetings can at times be held only because they are scheduled. Like most areas of our life if we don’t consider the purpose of our activities they become meaningless and might even become a burden. The HBR article cites a phrase from Stephen Covey, “Begin with the end in mind.” This doesn’t mean that we know the outcome of decisions or control the discussions. Knowing the desired outcome of a meeting means that you can keep all the parties on task. Clearly stating the goal of a meeting to a team also helps everyone know that the meeting actually has a clear purpose. Knowing purpose means that participants can contribute towards that end and gives a sense that actual progress is being made. Often we believe we have a clear purpose because we have an agenda. A critical question we must as ourselves as a leader is, “Is our agenda moving us towards a purpose, or are we simply checking boxes?” Many church boards use an agenda that looks exactly the same as those used fifty years ago. They may have “changed” the agenda when they substituted teams for committees but substantive change geared towards achieving vision rarely happens . Our meetings need to by focused on the shared mission and vision of our organizations. If a Christian Education committee is looking to strengthen adult classes it is important that the agenda makes that the focus. Making it clear that the purpose of a given months meeting is to focus on looking for ways to make Adult classes stronger will help everyone move towards that goal. Do you have a meeting this week that lacks purpose? If so, what can you do to help give it a clear purpose? Sometimes this is us in life. Worried about NOTHING! Many of us make New Year’s resolutions. It seems right to think of a new year as a new opportunity to make oneself better. “A new year, A new you,” is one of those catchy ways to sum up our newfound hope that comes with a fresh calendar year. Even still, most of us also make those resolutions with little to no expectation that we will achieve them. It is easy to throw out standard resolutions that make us feel like we have turned over a new leaf. Herein lies the problem; making generic “commitments” to change are not very helpful. This is a great place for us to apply the SMART goal setting. You may employ this practice in your work life. Many corporate organizations use the SMART model throughout their planning. 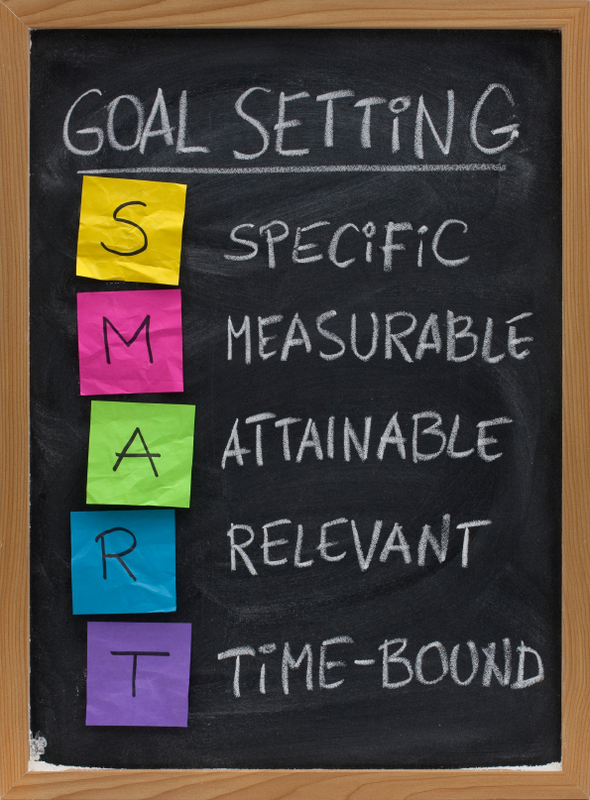 SMART is an acronym that highlights what a goal should be all about. S- Specific: Goals should state exactly what you want to accomplish. Use the old who, what, when, where, and why questions to help whittle down a grand idea into a more precise goal. M- Measurable: It is critical to decide how you will determine success. What will you use to gauge your movement towards achieving your goal? A- Attainable: Goals should challenge you to move beyond your current state but not be so out of reach that you set yourself up for failure. Be willing to push yourself, but also be realistic. R- Relevant: Check to make sure that the goal you are setting is in line with your “big picture.” It is easy to set up competing goals that inevitably mean that neither goal is achieved. Does this new goal fit into your overall objectives? T- Time Bound: Setting a schedule for your goals helps you to move forward. An open-ended time limit allows you to push it back for an indeterminate amount of time. Finite time limits encourage action. It is also good to set waypoints along the way to see how much daily, monthly or quarterly progress is being made. It is not enough to just say you are going to do something. The adage, “Failing to plan is planning to fail” is attributed to Ben Franklin. We often think that setting a goal is planning. An end point (goal) is not a plan it is a dream. To achieve dreams it is critical that we set ourselves up with SMART goals that encourage us to actually accomplish what we are dreaming about. I know that dream is a big word. After all we don’t necessarily think that higher sales numbers or a little less weight as a dream. Yet, without an actionable plan that is all our goals will be, far off dreams. As a coach it is my role to encourage and help coachees take their dreams and begin a process of formulating SMART goals to achieve them. Do you feel like you have a bold vision for what could be, but don’t know how to get there? A coach is a valuable resource to help you sort through all of the competing claims on your time and energy and to help set a plan to achieve the dreams you have for your life. If you want a partner in your SMART goal setting and are looking for a coach, please contact me at www.geoffmcleancoaching.com. A new year, a new you can be more than just a trite phrase. It can be your future. Read the November 2015 Coaching World Magazine to learn more about the art and science of coaching. Coaching World is the official publication of the International Coach Federation (ICF). Check out this great video produced by the ICF answering the question, “What is Coaching?” Click Schedule A Session to set up a free introductory session. Prepare/Enrich is the leading relationship inventory and skill-building program used nationally and internationally. It is built on a solid research foundation and significantly improves a couple’s relationship. PREPARE/ENRICH is custom tailored to a couple’s relationship and provides couple exercises to build their relationship skills. I have used the Prepare/Enrich program for over 15 years and have been a trainer for four years. This program has helped me make premarital sessions meaningful and impactful. This has been particularly true for weddings that include couples that are not part of our congregational life. This simple tool gives a quick and insightful snapshot of the couples relationship. This training is more than just a premarital program. Prepare/Enrich offers inventories that are useful in helping everyone in a long-term relationship identify their strengths and areas of growth. The Prepare/Enrich Training cost $200 with lunch provided. This one time training allows you to use the program without any ongoing training cost. Prepare/Enrich is a cost effective tool to use. Each couple cost $35 for the online inventory and report. This cost can be directly paid to Prepare/Enrich through their website by the couple when they log-in to complete the inventory or the facilitator can “purchase” the scorings. This fee is easy to include in “Wedding Fees” or is affordable enough for most churches to budget for. Prepare/Enrich is administered through an easy web based tool. Couples complete the inventory online and a report is accessible almost instantly. Prepare has validity in that it discriminates premarital couples that get divorced from those that are happily married with about 80-85% accuracy. Reliability is high (alpha reliability of .80 – .85).